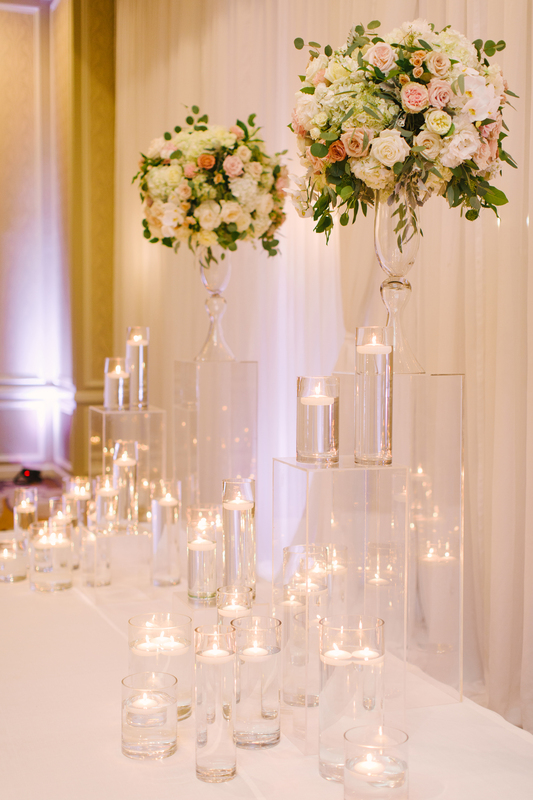 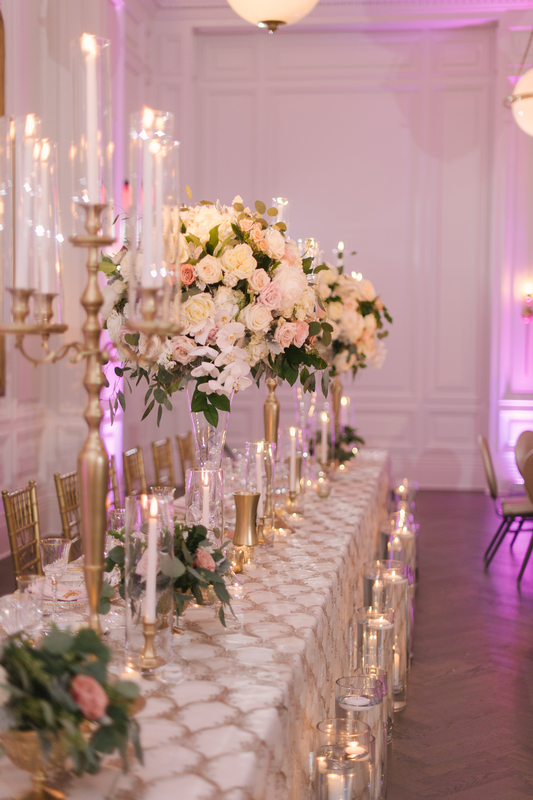 Tiffany and Richard’s wedding took place at the Historic Adolphus Hotel. 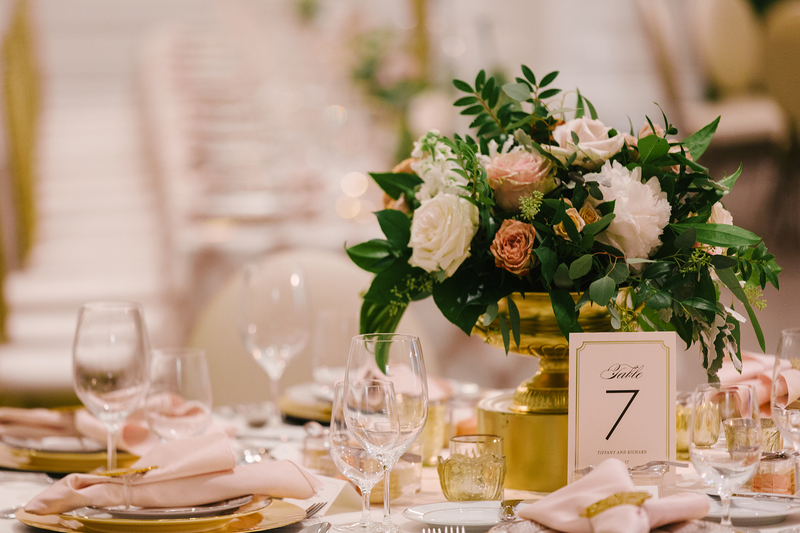 The hotel was completely renovated in 2017 so their wedding became the first reception in the 19th Floor Ballroom. 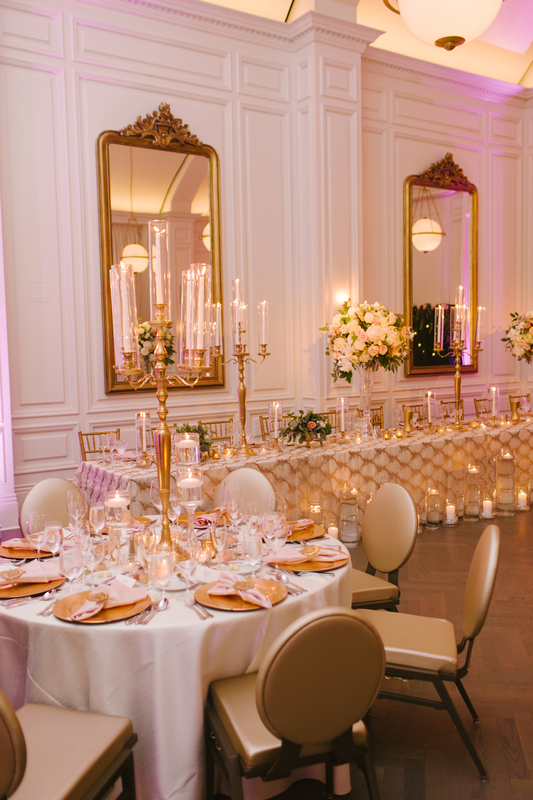 The ballroom had not been used for 40 years and after the remodel Tiffany and Richard were the first. 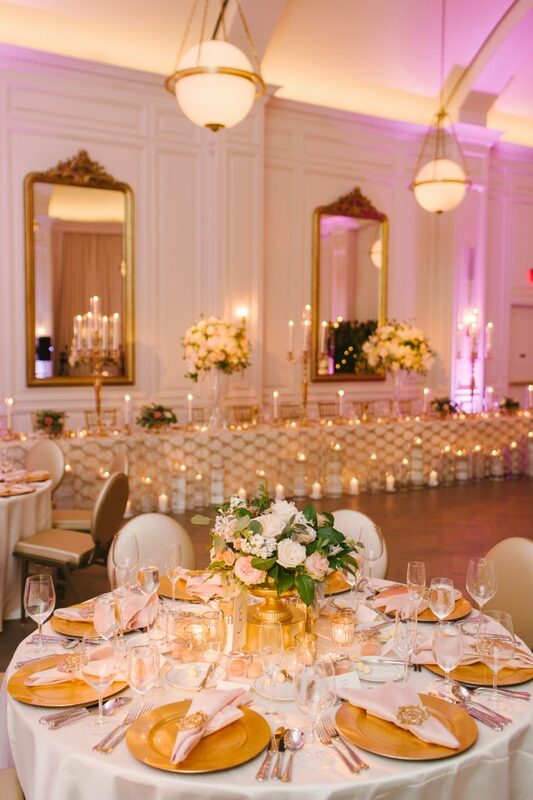 The room is all white which makes for an elegant backdrop to the blush and dusty rose colors. 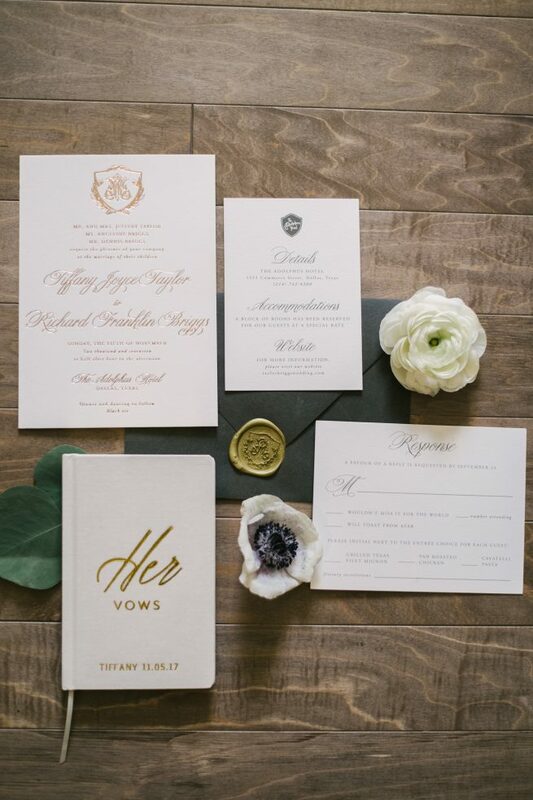 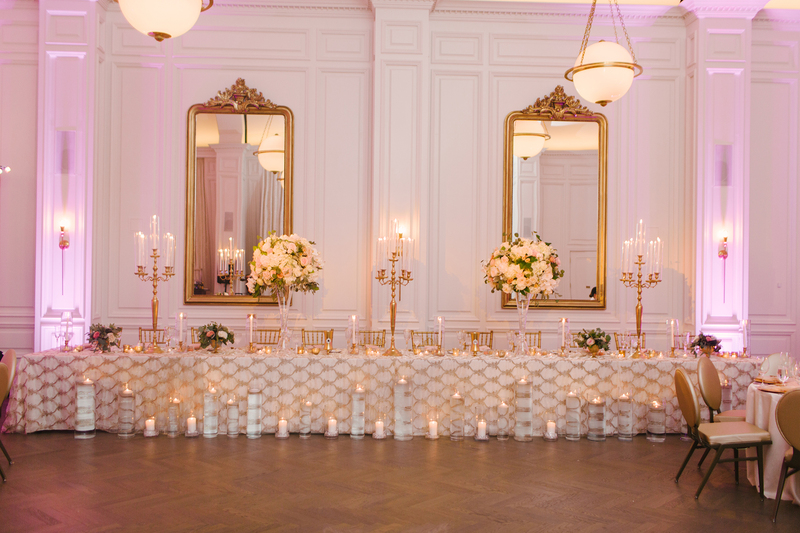 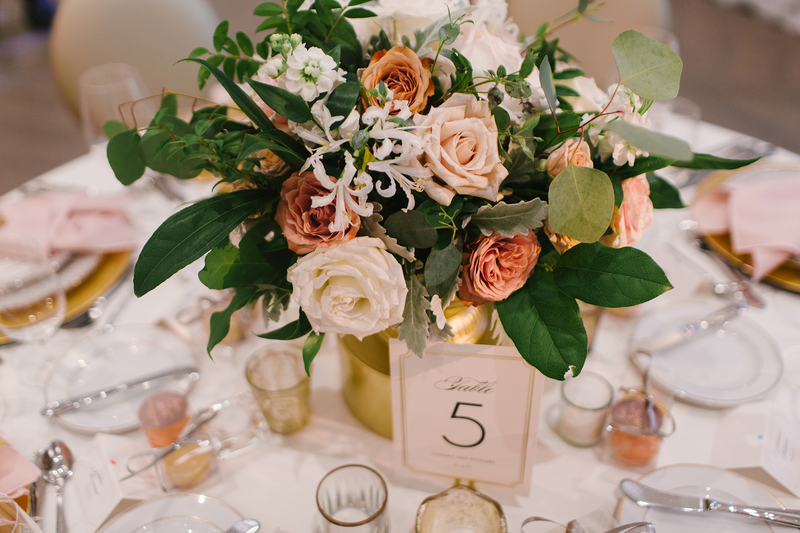 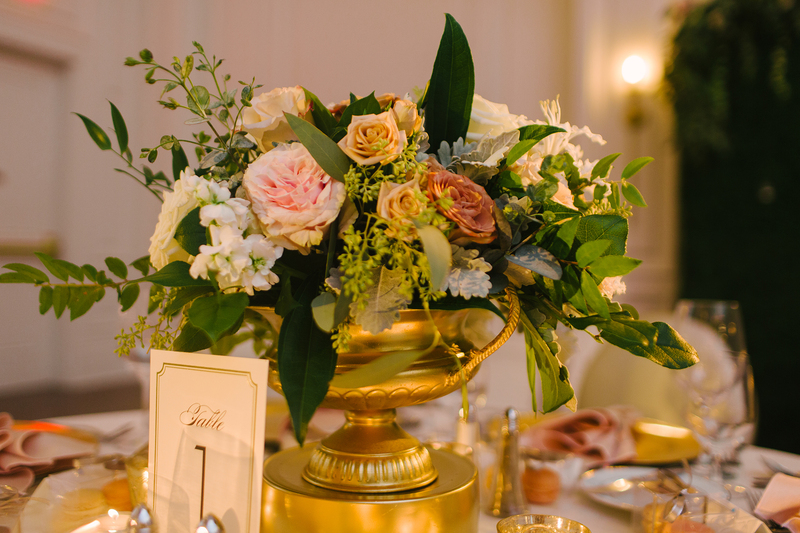 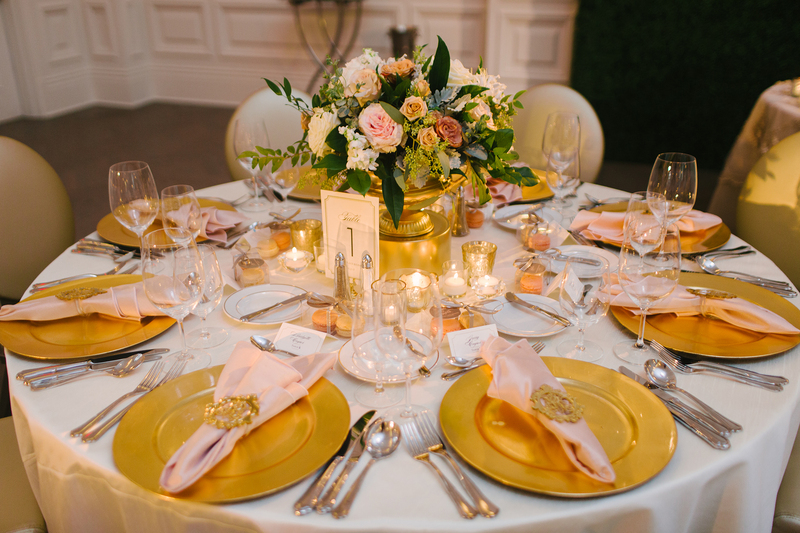 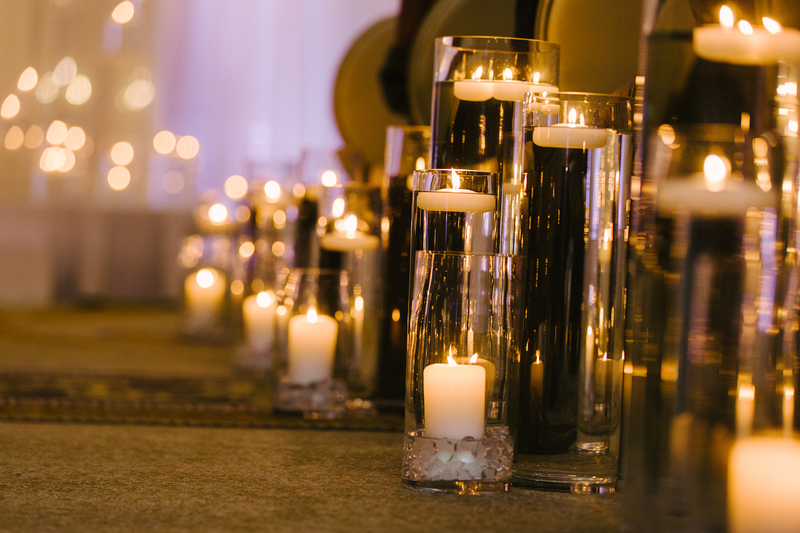 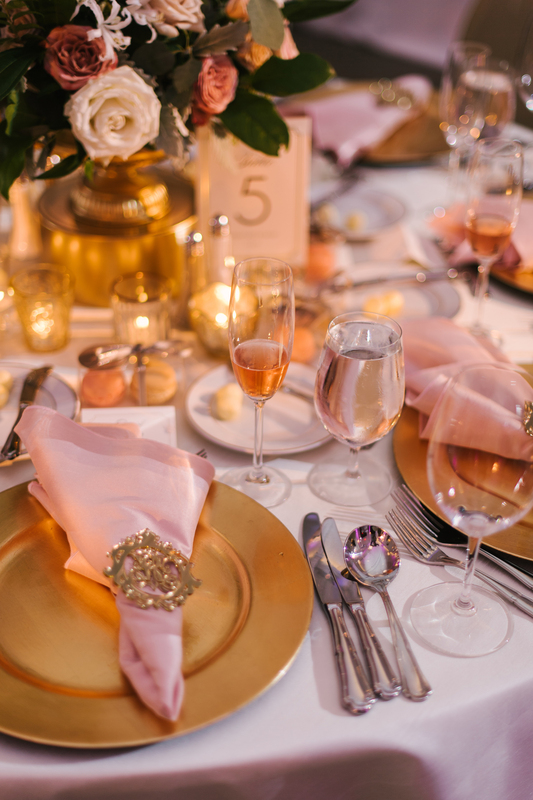 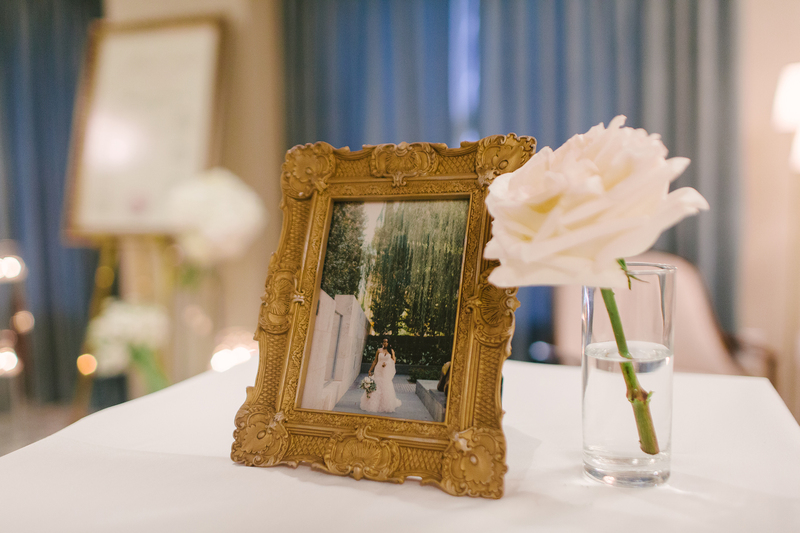 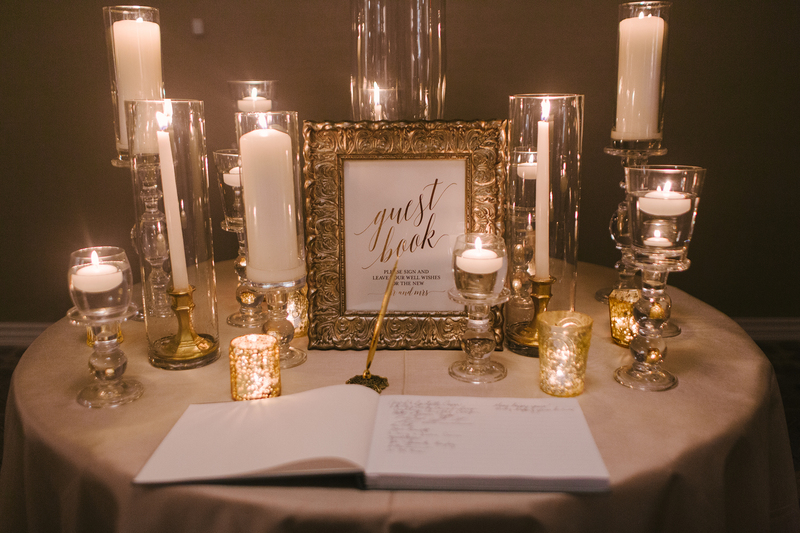 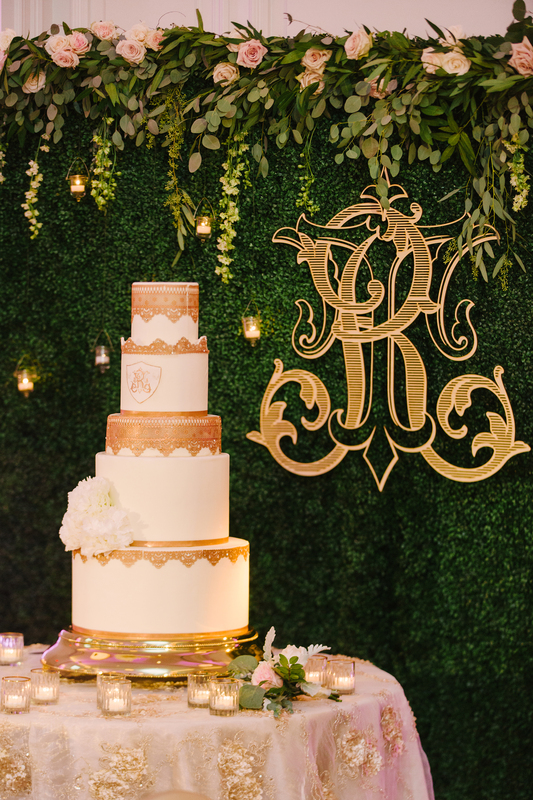 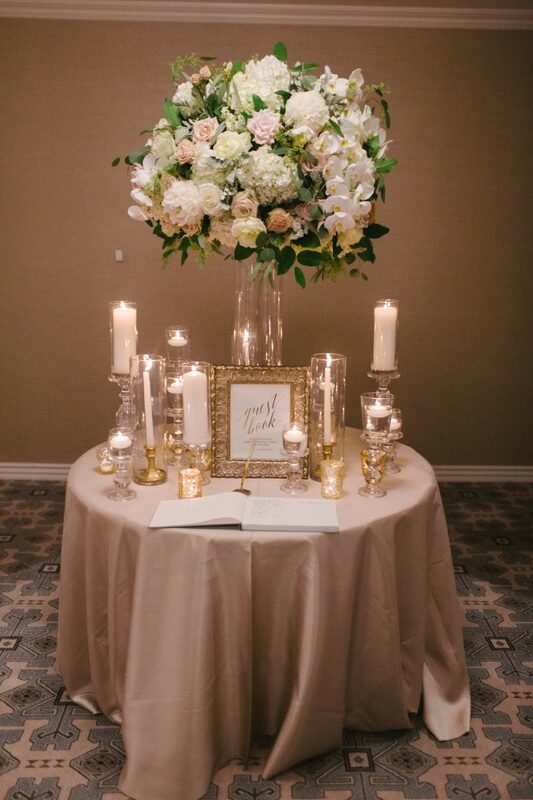 Golden accents in the rental items created the riches feel to the reception. 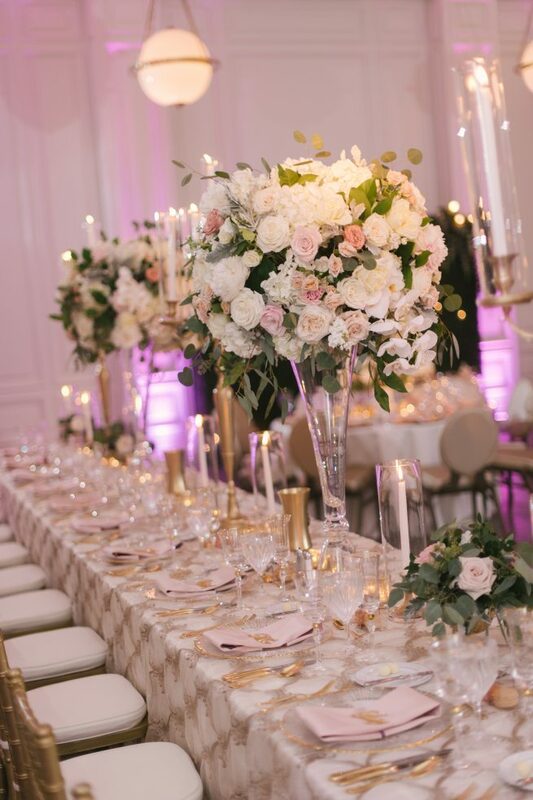 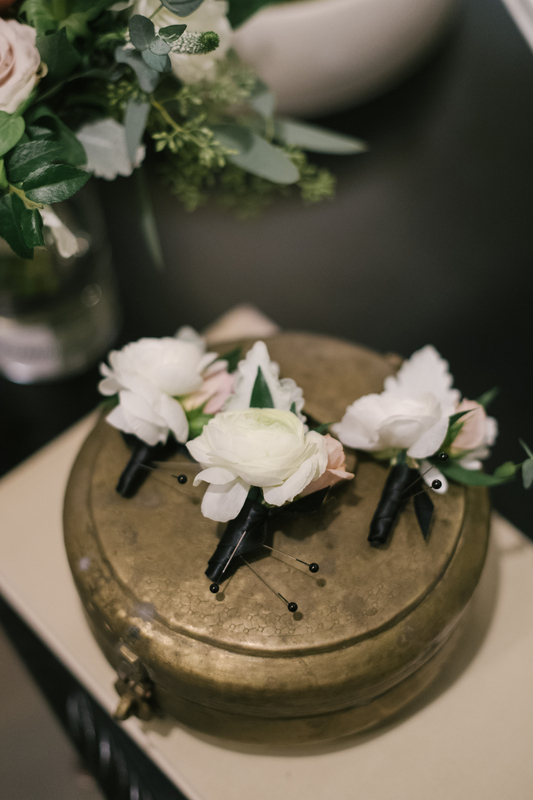 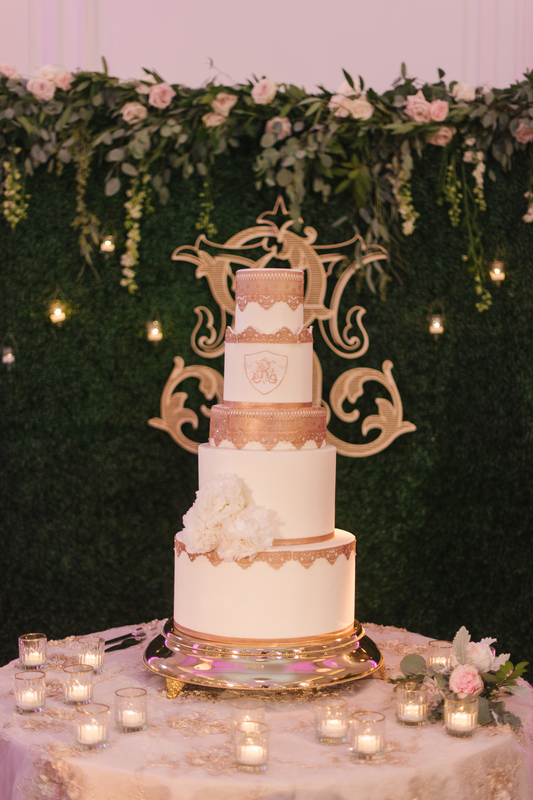 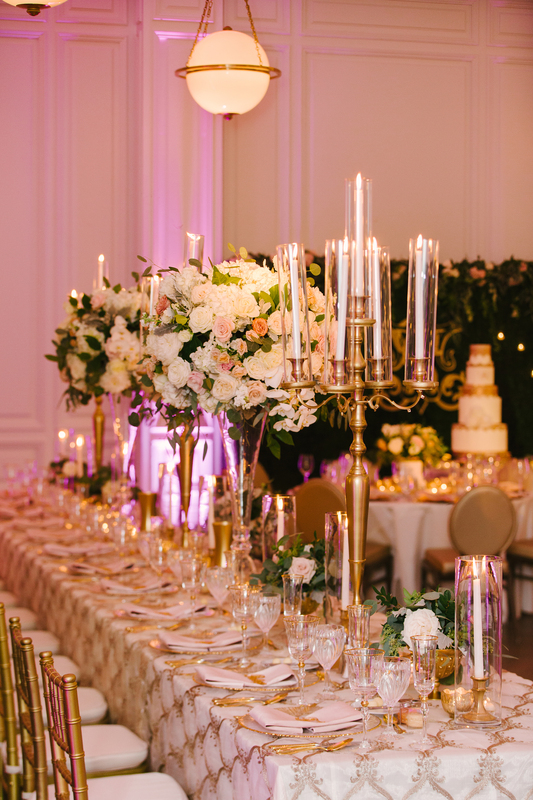 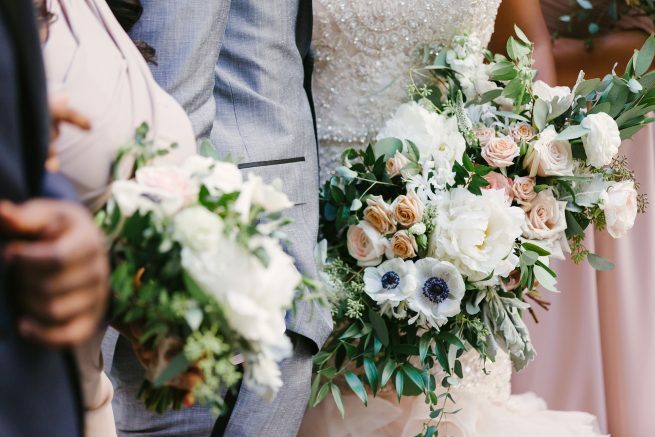 Golden candelabras and a boxwood wall were the signature décor pieces for the wedding, but of course, our floral creations with Peonies, Hydrangeas, Garden Roses, Fragrant Stock, and Spray Roses made for a romantic evening.